If you don't have a case for your iPhone 4 yet, then you really have been holding out for something special. Such as the Snow Peak Titanium cover. Make any birthday cake classy with the Cake Candelabra. The cost of early adoption (infographic). You know what I wish I had? A mouse with a built-in digital scale. Self-storage company adds solar panels to roofs (infographic). How to get the girl, according to movies. 6 ancient things that were probably built by aliens. How in love are you with your smartphone? 6 famously terrible movies that were almost awesome. The 25 geekiest knuckle tattoos. Jason Vorhees' body count (infographic). How social media can improve student grades (infographic). The 11 board games most likely to spark actual fights. Text slang for baby boomers. Finally! The periodic table of tables. Cow for all seasons. Yeah, me neither. The Portal 2 Wheatley puppet. 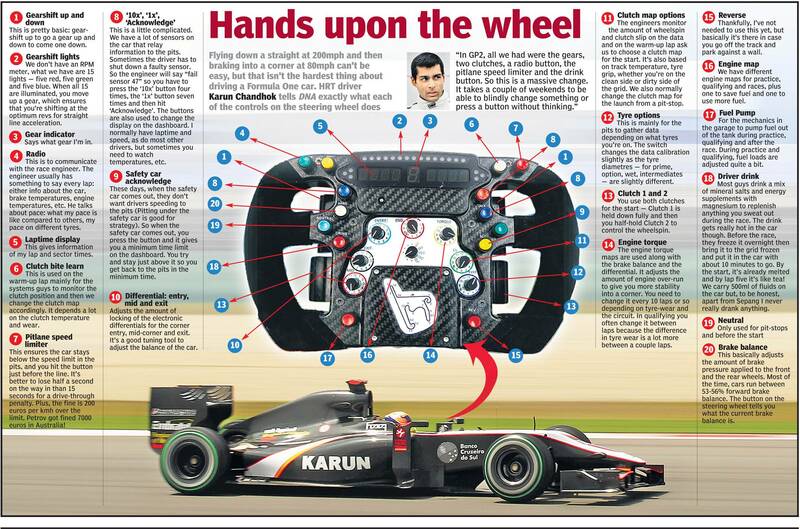 F1 racecar steering wheel breakdown. The deadliest disease outbreaks in history (infographic). 6 weird fashions from history with explanations. 16 sequels nobody has ever heard of.